Bass-baritone Kenneth Shaw, who has been hailed for his "strong, impassioned and lyrical" voice (Opera News), long ago established himself as one of America's most talented and versatile artists. He has performed with opera companies throughout North America to critical acclaim. He has sung over 70 leading roles in over 60 operas, as well as concerts and recitals across America, Southeast Asia, Brazil, Canada and the United Kingdom. Since winning New York City Opera's Richard F. Gold award as Debut Artist of the Year in 1987, Shaw sang many roles with the company, including Escamillo in Carmen, the title role in Don Giovanni, Sharpless in Madama Butterfly, Enrico in Lucia di Lammermoor, Count Almaviva in Le nozze di Figaro, Marcello in La bohème, Silvio in I Pagliacci, and Germont in La traviata with the company on tour in Taiwan. Subsequently, he was one of 16 young American singers selected by Opera News to "Keep Your Eye On." Shaw’s roles are diverse, having sung Wolfram in Tannhäuser, Escamillo in Carmen, Sharpless in Madama Butterfly, both Figaro and Count Almaviva in Le nozze di Figaro, both Philippo and Rodrigo in Don Carlo, both Mephistopheles and Valentin in Faust, and the title role in The Mikado. Additional roles include Jochanaan in Salome, Sarastro in Die Zauberflöte, and the title role in the world premiere of The Stone Man, Scarpia in Tosca, a role he has also performed on tour with New York City Opera National Company. He has appeared both as Zurga and as Nourabad in Les Pêcheurs de perles, Pizarro and Rocco in Fidelio, John Proctor in The Crucible, and Blitch in Susannah in performances telecast on PBS. Shaw's many orchestral engagements have included performances with the Louisville Orchestra, the Cincinnati Symphony Orchestra, Dayton Philharmonic, Baton Rouge Symphony, Syracuse Symphony, the Cincinnati Chamber Orchestra, the Colonial Symphony, the Columbus Symphony under conductor Christian Badea and the Memphis Symphony Orchestra, among others. In 1999, Shaw joined the faculty of CCM where he serves as Professor of Voice and co-producer of nationally awarded Opera d’arte, the CCM Undergraduate Opera. His students have gone on to major young artist programs and leading roles in opera houses including the Metropolitan Opera, Deutche Oper Berlin, Lyric Opera of Chicago, Seattle Opera, among many others, and in leading roles on Broadway. His students have also found success in university voice and choral positions nationwide. 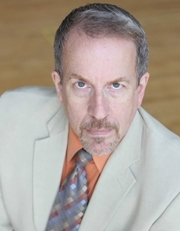 An accomplished stage director, designer and producer, Shaw has directed over 20 productions for regional opera companies, colleges and universities. BS, Jacksonville State University, Jacksonville, AL. MM, Louisiana State University , Baton Rouge, LA.